Heart failure explained; I'm going to give you a clear explanation of heart failure, and I'll also discuss heart failure symptoms, the risk factors for heart failure and how you can be screened for heart failure. Did you hear that the iconic rapper Craig Mack died at the age of 46 from heart failure? Did you hear that just one week later Queen Latifah's mother also died from heart failure? Could you or your loved ones be at risk? Craig Mack, a hip-hop icon known for the legendary song Flava In Ya Ear, which definitely plays on the soundtrack of my youth, he died at the age of 46. And according to The New York Daily News, the cause of death was heart failure. And then the very next week Queen Latifah's mother, Miss Rita Owens, also died from heart failure. The loss of these two lives in such close proximity both being from heart failure has prompted many of my patients to ask me questions about the topic. "Dr. Frita, do I have heart failure?" "Dr. Frita, am I at risk for heart failure?" This is Heart Failure Explained. So, what is the job of the heart? The purpose of the heart is to pump blood throughout the body and blood carries multiple little donut-shaped tiny red blood cells, which act like little cars that carry oxygen. So, when a normal heart is pumping strongly it is actually delivering oxygen, blood, and nutrients to all of the other organs in the body. So when a patient has heart failure it doesn't mean that the heart has stopped and just completely is not working. 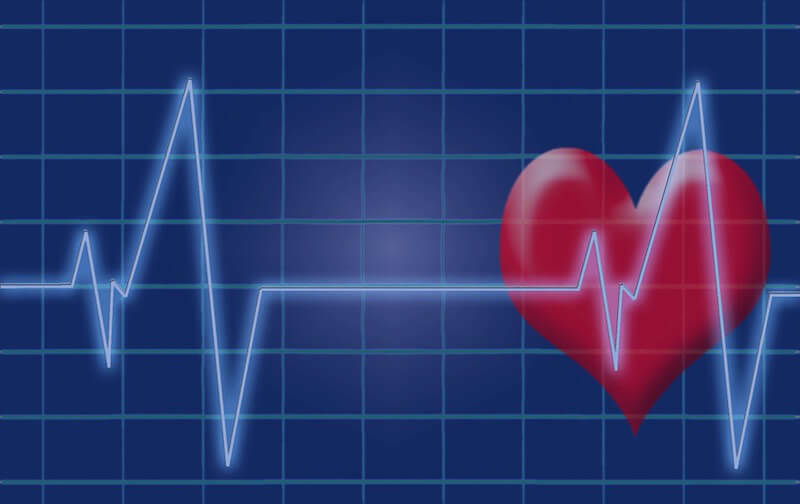 Heart failure just means that the heart is not pumping as strongly as it should. So if the heart is not pumping as strongly as it should, then the other organs in the body are not getting that blood flow. They're not getting the nutrients and so the other organs in the body can become sick. Also, if the heart is not pumping strongly, then you get a backup of blood. A backup of fluid, which can cause the lungs, legs and other tissues to be filled with fluid. So that's heart failure explained in a general definition. What are the symptoms of heart failure? Early on most people have no symptoms. That's why it's important to go to your doctor regularly even if you're feeling healthy. Heart failure symptoms can include swelling of the feet, the ankles, the legs. It can also include shortness of breath because the lungs can get filled with fluid. That's called pulmonary edema. You can be tired and even dizzy if you have heart failure. You might also have a heart that just races and has very fast heartbeat even if you're at rest. Another symptom of heart failure is the inability to just lay down flat. You need to sleep sitting up on two pillows or three pillows. Or some patients with really severe heart failure outright have to sit up in a chair to sleep because they're just too uncomfortable because the lungs get filled with so much fluid. That's another very serious symptom of heart failure. But again, early on there are usually no symptoms, so make sure that you prioritize yourself and get checked to see if you have heart failure or risks for heart failure. So, what are the risk factors for heart failure? Well, heart disease, as in if you've had a heart attack, then you're at risk for heart failure. If a doctor has told you that you have clogged heart arteries, then you're definitely at a big risk for heart failure. In fact, coronary arteriosclerosis, which just means you have plaque blocking your arteries in the heart, that's the number one cause of heart failure in the United States. Other risk factors are abnormal heart valves. So, if you've been told that you have a stiff heart valve, for example, aortic stenosis, a stiff heart valve puts you at risk for heart failure. Also, if you have a leaky or loose valve, for example, mitral regurgitation. A leaky heart valve also puts you at risk for heart failure. More risk factors include diabetes, hypertension, and a little-known fact is that many infections can actually put you at risk for heart failure. HIV is one. So, if you're a patient who has HIV that's poorly controlled and you have a high viral load and a low CV4 count, then it can cause you to have a big heart. Not in a good way. It can cause you to have a dilated cardiomyopathy, which can lead to heart failure. Another risk factor for heart failure is stress. Stress can be a risk for heart failure for sure. Other risk factors for heart failure include obesity. The more overweight you are the more work the heart has to do to meet your body's needs. Cocaine abuse or crack use will also put you at risk of heart failure. Tobacco abuse, specifically cigarette smoking definitely increases your risk of heart failure and excessive alcohol use will also put you at risk. And here's a little-known one as well, obstructive sleep apnea. What's obstructive sleep apnea? If you are a person who snores and the people around you tell you-you snore very, very loudly, "you call the hogs" and all of a sudden you stop breathing (there's silence), then you very likely have obstructive sleep apnea. Now I know in talking to some of my own patients who've been diagnosed with sleep apnea and who've been given the treatment, which is the CPAP machine, they complain that it's uncomfortable, there's blowing air in them, they can't sleep with them or even that their spouse doesn't like the big annoying CPAP machine. Well obstructive sleep apnea, the snoring is not just a nuisance to the people around or just something kind of funny to laugh at for people who snore. It's very serious. Obstructive sleep apnea puts you at risk for heart failure. So, it should be taken seriously. How Can You Be Screened for Heart Failure or Diagnosed with Heart Failure? Remember you do not necessarily have symptoms early on, so it's important to go to your doctor regularly. Some of the tests that they'll do to see if you have heart failure include an EKG or an electrocardiogram. This is that heart tracing that you'll often see on that paper that looks pink. That heart tracing can let your doctor know if you've had a heart attack. 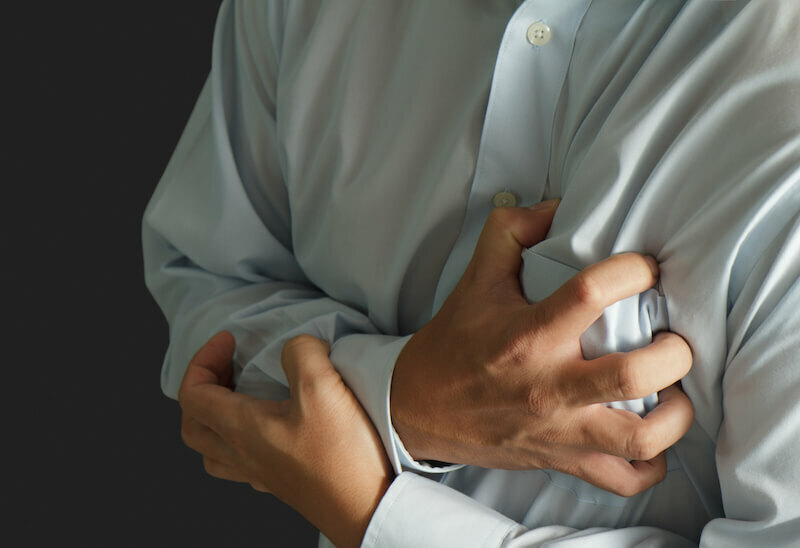 It can often let the doctor know if your heart is an abnormal size or if one side is bigger than the other and you have risk factors for heart failure. Another way to be screened is a simple chest x-ray. A chest x-ray can show whether you have a backup of fluid in the lungs or pulmonary edema. It can uncover if lung vessels are congested because the heart is not beating properly and provide an idea of the heart size. It will also uncover if you have a big heart or a heart that really looks like it's at risk for heart failure. And then there's the echocardiogram. So what's an echocardiogram? It's an ultrasound of the heart. The same way that pregnant ladies get ultrasounds or sonograms of the belly, you can get an ultrasound or a sonogram of the heart. The echocardiogram actually measures how strongly the heart is pumping. And it takes a good look at the heart valves. It will let your doctor know if you have one of those stiff valves or a leaky valve that puts you at risk. Some stress tests and blood test can help to pick up risk factors for heart failure as well. The blood test is called a BNP, Brain Natriuretic Peptide. And if this is elevated, then there is a high chance that you have heart failure. One more thing I do want to mention about heart failure and who's at risk, African Americans. The prevalence of heart failure is 25% higher in blacks, and younger patients with heart failure are more likely to be black than white. So again, if you are African American, don't wait for symptoms. Find out if you're one of these young people who's at risk for heart failure. What else can you do? What should you be doing right now? Well, prioritize yourself, I cannot stress it enough. No matter how many people you take care of. No matter how many busy things you have to do. No matter how many jobs. No matter how many people are depending on you, I want you to pause and take care of yourself. Go to your doctor. Do that for you. Ask your doctor if you're at risk for heart disease or heart failure. Ask your doctor for a personalized diet and exercise plan. Make sure you have a low salt diet. If you are obese, find out what a healthy weight is for you. Make sure that you have good blood pressure and good blood sugar. Find out if you have valvular heart disease. No matter what, in all things, it's so important to go to your doctor. Make yourself a healthy, happy person. If you have any more questions about heart failure or heart disease, please comment below. This was just a general, really brief overview of heart disease explained but I can really delve into details about any, any portion of heart failure. Let me know other topics you would like for me to discuss in future articles.